The time draws near to venture out from the 1 bedroom apartments for rent in Denver (or wherever you might be staying) and head to Denver Arts Week. This “nine-day celebration of all things art” will feature the participation of many a Denver establishment and organization, all helping to put on hundreds of individual events in tribute to the importance of art and creativity in the Mile High City. It’s a lot to navigate, so we’re going to draw attention to a few highlights from the many goings on during Denver Arts Week opening weekend, and call attention to some of the most exciting places to head during that first few days. Read on, as we showcase some of the best from upcoming Denver Arts Week. The First Friday action takes place in several key areas around town, including: Art District On Santa Fe, Belmar, Cherry Creek North, Golden Triangle Creative District, Downtown Denver, RiNo (River North Art District), Navajo Street, and Tennyson Street Cultural District. You’ll have the opportunity to explore the fine artistry the participating galleries in these areas of town have to offer, and admission is free. Normally, you’d have to spend upwards of $10 on a ticket. For the Arts Week kick off, however, admission is free and will grant you access to some thrilling current exhibits. Like Rembrandt: Painter as Printmaker. Running through January 6th, 2019, this exhibit is taking a look at Rembrandt’s slightly lesser-known forays into printmaking, with over 100 works on display spanning from 1625 to 1665. The subject matter of these works is what you’d expect (if you know anything about Rembrandt), representing the very best imagery of biblical, portrait, allegory, still life, landscape, and genre artworks of the time. The quality is unmatched (also to be expected of Rembrandt) and taking a look at the exhibition will give some amount of insight into Rembrandts rather unique approach at the craft. 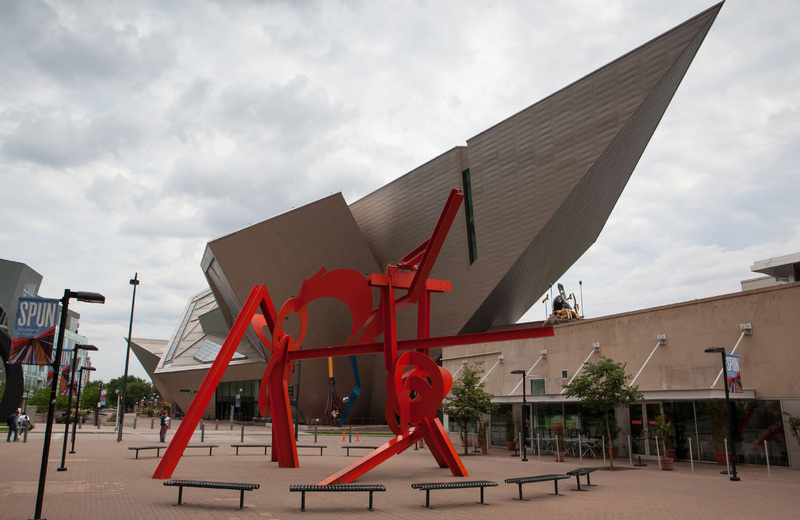 There are, of course, more exhibits at the Denver Art Museum to see, and more sights all around the other museums in town that are participating in Saturday Night at the Museum, which leads to our point: you can really make the most of Denver Arts week by pouncing on that very first weekend of events. So be sure to mark November 2nd on the calendar and get ready to head out into town. Naturally, Arts week has stuff going on beyond that opening weekend, and we definitely encourage you to check out stuff like Denver’s On Stage and Arts Week Hidden Gems for an in-depth look into even more great art and creativity. Be sure you also check out all the deals that are going on over Denver Arts Week, as there will be rare opportunities participate in classes, see sights, and enjoy wonders of the city for a vastly discounted price. Don’t miss it! Denver is a hotspot for cool happenings like Arts Week, but you probably already knew that. What might not have been so evident is that the key to enjoying the best Denver has to offer is taking up residence in the heart of one of Denver’s most respected neighborhoods. The Henry, in Denver’s historically-rich Platt Park, features every facet you could ever want out of modern life; when you’re ready to make that move to one of the city’s finest communities, be sure to check out what it’s all about.